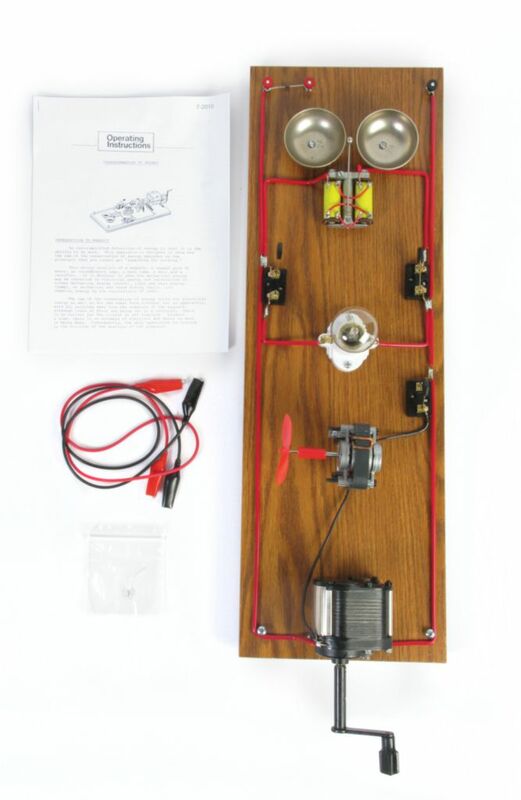 Demonstrate the transformation of mechanical energy into electrical energy, light, heat and sound energy with one apparatus! Mechanical energy is induced into this unit through a high quality Alnico magnet generator. Through the use of knife switches, the current can be directed to an electric bell, lamp and socket, 110V induction motor with propeller, or any combination of the three. Feel the difference in the drag of the generator as the switches are opened and closed. The entire unit is mounted on a wood base.